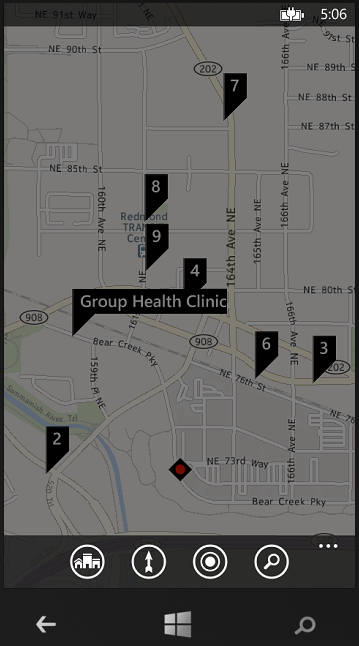 Using ‘Bing Maps Task’ we can get the nearby locations (i.e., Hospitals,Coffee shops or Shopping malls) on the Map. 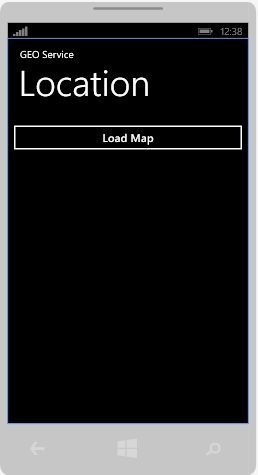 Add a button to your XAML page and on ‘Click’ event handler place below code. When you click on the button, we will get below screen. 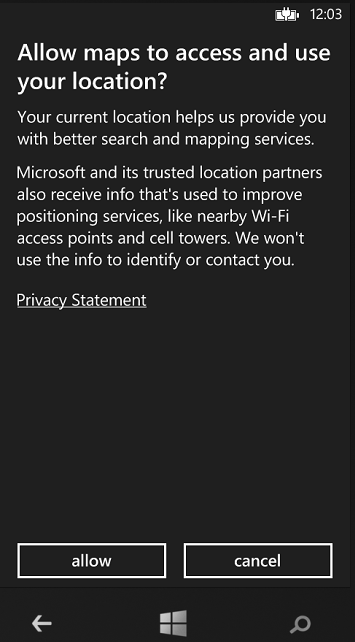 Once you click on ‘allow’ , we will get a bing map with nearest hospitals. Thanks for pointing this. Updated the article.